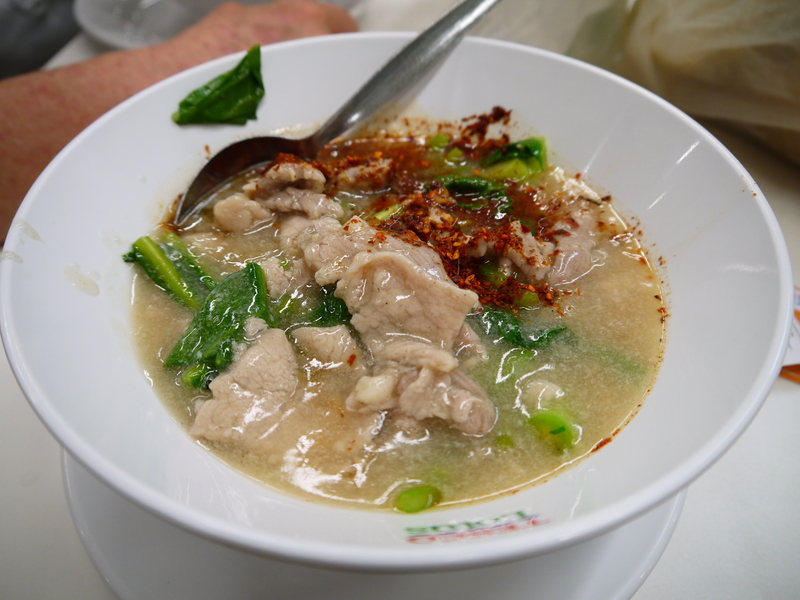 Crispy noodles with pork and gravy is one of our favourite dishes. In Thai it is called Rat Naa Mee Grop. It’s the kind of dish that is comforting when you need a pick me up, it tastes so good that you get absorbed in it’s yumminess. It’s the kind of dish that leaves you wanting more, it makes you want to find a place in your neighbourhood that sells it, so that you don’t miss out. Luckily for us it is a common dish and not too hard to find, we just look out for dried crispy noodles sitting in the stall window and a pot filled with pork and gravy on a slow simmer. You can have this dish with other sorts of noodles, but to be honest the texture and taste of the crispy noodles has meant I couldn’t imagine trying anything different. 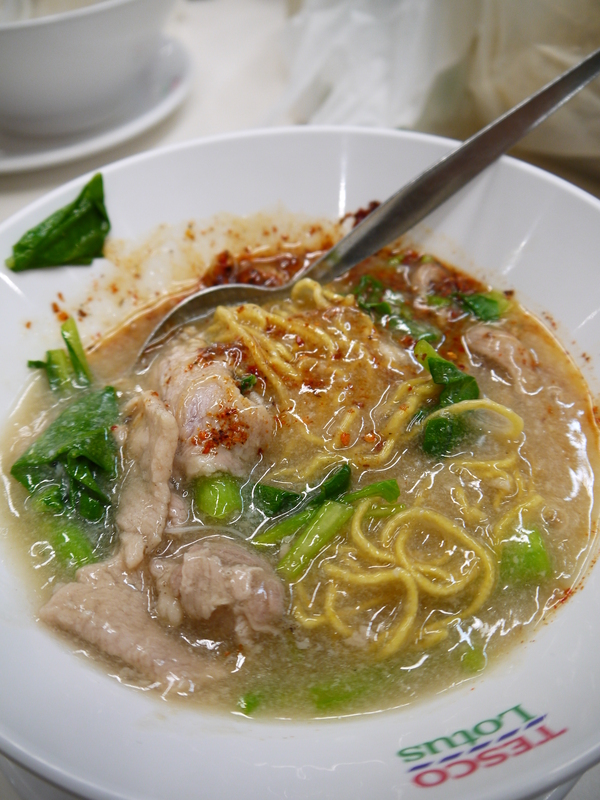 The gravy slightly softens the crispy noodles so they still retain a little crunch. The crispy noodles on display. I’ve always found gravy a must have with roast meals and sometimes I’ve thought wouldn’t it be good if you could have gravy with other meals. Now I have another dish to put in the gravy food group. « Monday Madness – Grasshoppers and bicycles?